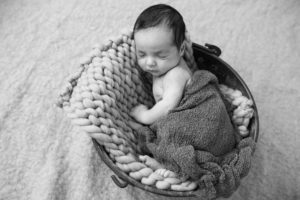 Newborn Photography can be so unpredictable! 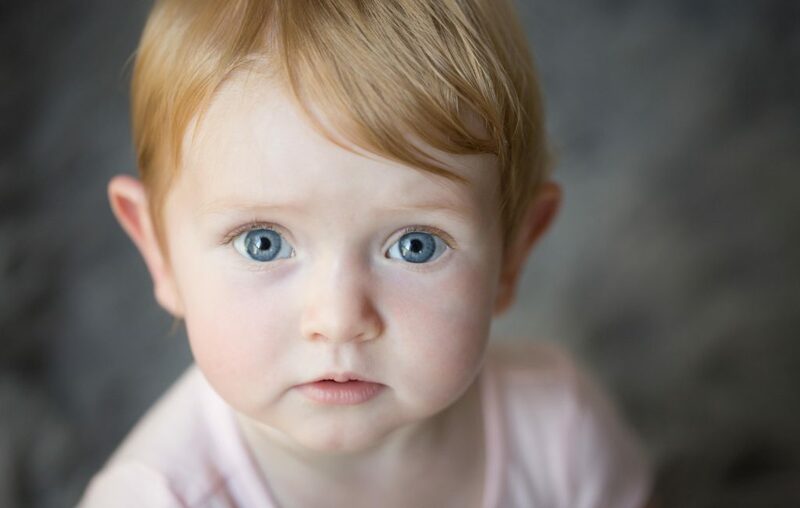 Don’t be fooled by the sweet sleepy charms of darling Charlie, this was our second photography session together. Charlie’s first session I left with my tail between my legs after I was not able to get this little guy to sleep! People often tell me I am a baby whisperer but absolutely no amount of my usual tricks worked on this cheeky little man. 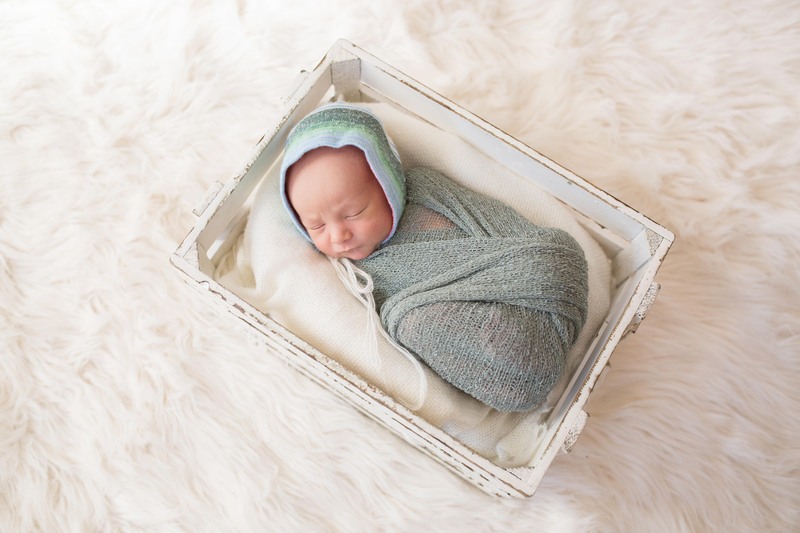 At his original photoshoot I persevered, wrapped him and managed some lovely sweet awake photos, but when I got home I was sad that I wasn’t able to achieve any lovely sleepy photos. 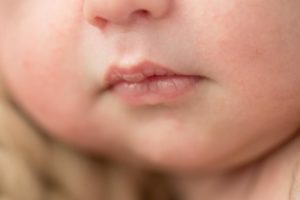 You see this was the second time I had been hired by this family and I really really wanted to give them the same types of photos I managed to get for their first son Oliver, 4 years ago. When I walked into their house I could see my photos of Oliver displayed proudly on the walls, it really did give me such a high. This high quickly disappeared as I walked out of their house to the realisation that I just could not give them the same quality. One thing you might learn about photographers is that we, like all artists, wear our hearts on our sleeves. As I arrived home I edited and edited away, I even composited a dummy out of one of the images in order that they at least had one sleeping photo. I was hoping that it wasn’t as bad as I thought it was, I gave it a few days and looked over his gallery again. With fresh eyes the gallery was fine, it really was, I was actually surprised as to just how fine it was. But there still wasn’t those peaceful sleeping photos that I wanted up on the wall next to his brothers. I took a breath and sent the gallery through to his parents, with a note saying that I was happy to come out again during the week and take a few more photos of him asleep. Guess what? They loved the photos 🙂 this made me so very happy! 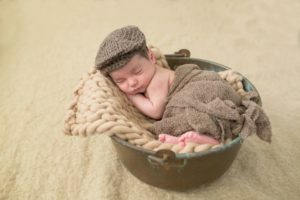 But Charlie’s Mum really really really wanted a sleepy bucket photo, the same bucket that his brother was photographed in 4 years ago (which BTW is my favourite prop to use because it belonged to my grandfather). While it was a set up I had planned to do it was not at all safe as he was so alert. 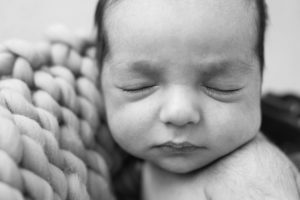 For posed newborn photography babies have to be in a deep sleep. Of course I agreed in a heartbeat to come and try again! We did a lot of back and forthing with emails to find a time that worked best for Charlie, It did make me feel slightly better to learn that the universe has to align for Charlie to sleep! We changed our tactic, aimed for an afternoon session, kept his nappy on and didn’t try to perfect any posing. I managed to get him in to a deep sleep for about 5 minutes…. I photographed like crazy in that 5 minutes and these photos are the result! After those few snaps he awoke and made it perfectly clear he was not going back to sleep again! 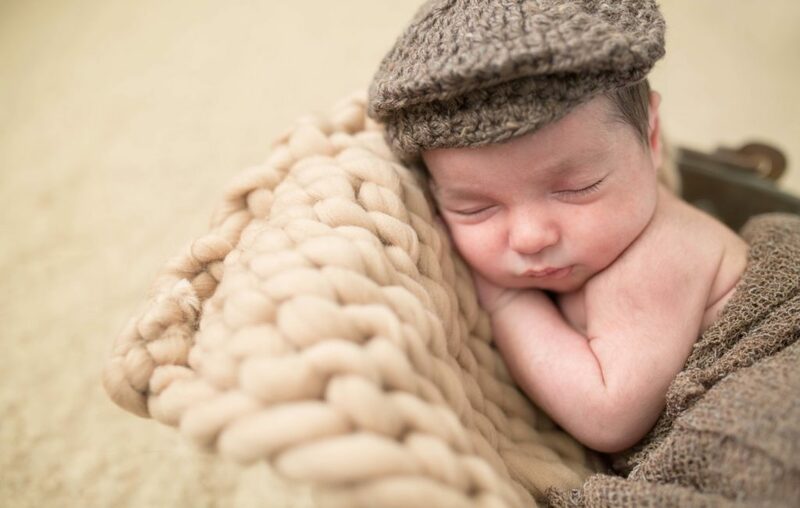 I can now rest easy knowing that Charlie and his family have some lovely sleepy photos to put on their walls, and that Charlie’s Mummy can remind herself that Charlie can sleep…. even if it is only for 5 minutes! Here is big brother Oliver from 2013 and little brother Charlie from 2014.